Does “Coming Out” Improve LGB Mental Health? I read with interest an article on the medical news today website that coming out as gay, lesbian or bisexual increases happiness and improves the mental health of the individual concerned. The report (which you can read here) states that revealing your sexual identity in a supportive workplace decreases feelings of anger, depression and improves self esteem. The research, carried out jointly by the University of Rochester in the USA and the University of Essex in the UK, asked detailed questions to 161 gay, lesbian and bisexual volunteers about their level of ‘outness’, their sense of well being and their perceptions of acceptance. Many of the findings were not surprising to me at all. Participants tended to be more closed in environments that they perceived as controlling and tended to hide their sexual orientation in religious settings. Most of the individuals had come out to their friends (only 13% had not) and this is where they had the greatest feelings of self worth and belonging. Interestingly, those that came out in hostile environments felt about the same level of well being as those that had not come out at all. This was put down to the fact that the negative experiences were diluted by the positive feelings of acceptance from others. This kind of suggests that if you are thinking about coming out then you are going to be no worse off than you would have been had you decided to stay closeted. Being closeted has been shown to increase the risk of difficult romantic relationships, more anxiety and even increased the chances of suicide. What should we make of all of this? I completely get that LGB individuals have the “should I or shouldn’t I” question to face every time they enter a new environment. For some this is not an issue. 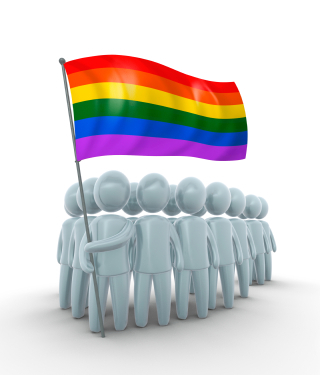 I have worked with lesbian and gay clients from both ends of the spectrum. Some are openly gay and make no bones about it. They have the “I’m gay – deal with it” attitude wherever they go and the research discussed above would suggest that this is the most healthy approach from a well being point of view. I have also worked with LGB clients who would never reveal their sexuality to anyone. For me it brings to the fore how important our sexual identity is. It is an essential and integral part of who we are. As a “straight” man I have never had to make the decision about whether I tell others about an important part of who I am or not. I do know what it’s like to keep secrets though. Sometimes it feels OK for me and other times I feel that if I could only explain this part of my life then I would make more sense to those around me. The key feature here is that in order to make the decision of whether or not to come out there needs to be a feeling of safety and “OKness”. When that feeling is present then coming out can lead to real benefits for the person concerned. This OK feeling about your sexuality may increase by working with a gay affirmative therapist and challenging some of the homophobic ideas prevalent in society. These are easy to internalise as a child and need to be challenged and exposed for what they are – prejudiced thoughts from ignorant individuals. What are your experiences of coming out? What do you think about this issue? If you are lesbian, bisexual or gay have you come out? What are your experiences of coming out, or choosing to stay ‘in’? I would love to hear your opinions and learn more from what you have to say about this important issue. What are your experiences of coming out? Need help with coming out? Check out Outing Yourself: How to Come Out as Lesbian or Gay to Your Family, Friends, and Coworkers which is a great step-by step guide to coming out and what you may face when going through the process. Thanks for addressing this issue, as I think it’s worth debating. I think you have have missed out a cross cultural perspective here – most people have intersecting identities (class, age, race, ethnicity, religion, disability etc) and for many of those people coming out might mean much poorer mental health. They may alienate those who care for them to such an extent that they are exiled from their communities and families. Young Muslims may face honour killings, forced marriage, being sent back to their parents countries of origin etc. It’s not quite as simple as you make out I fear. Hi Dominic – thank you so much for your comment, I agree that this is an important issue. Interestingly, the report said that age played little part in the feelings of well-being that arose as a result of coming out. Older and younger individuals seemed to benefit equally. I agree with you completely that for some, coming out is just not a viable option due to the reasons you listed. I guess it comes down to the point I made in the post where individuals need to feel OK with themselves before they take this big step. This must also include feeling OK that they are going to be safe. You know what, I’m very much inilnced to agree.